In today’s connected world, managing customers and creating new, positive experiences is a challenge for organisations of all shapes and sizes. Successful companies understand that an initial sale is only the beginning of the customer relationship. Like all of us, I am a consumer. Working at a customer focused company has made me hyper aware of brands who do (and do not!) provide positive customer experiences. I recently had to make a change to a flight I had scheduled, I generally opt for digital channels, but this time I decided to call since I had a few matters to solve, and a personal conversation seemed more efficient. While I dial the 0800 number, I mentally prepare for a long wait, and dreadful hold music, but to my surprise, my experience was entirely different. The estimated wait time was 15 minutes, but rather than waiting on the line, I was prompted to enter my number, and received a phone call back when it was my time to be served. Fifteen minutes of my life were given back, and the seamless experience won my loyalty to this brand. To retain customer loyalty, you have to be agile, and support their needs and expectations across every channel and learn lessons from pioneers in any industry. It’s no longer about providing a single customer service channel. Today, brands are expected to create memorable customer experiences, and those who do not will fall behind. What do Uber, Netflix and Amazon have in common? They are all major disrupters within their industries. None of these brands are providing an entirely new product or service, but they are changing the experience. Now we think of transportation, video rentals and shopping in an entirely new way. Technology is changing the way consumers interact with businesses across every industry. Everything from paying taxes, to shopping for groceries can be done on a mobile device today. Mobile has given organisations the opportunity to connect with their customer, wherever they are. However, this opportunity goes both ways, and customers now expect brands they interact with, to be accessible at their fingertips. You are no longer competing with those in your own industry. The moment a new positive experience is received, customer expectations reach new heights. If a customer can instant message with a service agent on their favourite food delivery app, they want the same experience from their bank and car dealer. Take my airline example, now that I do not have to wait on hold to call my airline, I expect the same service from any phone interaction I have with a brand. In this connected world, any industry can raise the bar on customer experience, and it is up to everyone else to keep up. Companies that embrace disruption are the ones who succeed. There was a time where the price or quality of products was the primary differentiator for a brand. As we advance further in this connected world, convenience and experience is becoming increasingly important. The ‘Customers 2020 Report’ states that customer experience has now over taken price and product as the key differentiator for a brand. In this connected world, expectations of customers are moving fast, and their loyalty is only as strong as the experience a brand provides. Social media has created a whole new set of channels where brands need to be present. Today, the lines are blurring in the way consumers interact with their social circle, and the brands they do business with. Today’s consumers spend more time engaging with apps on their mobile device than talking on the phone. This always on world creates the need instant access for individuals, whether it is from a friend or a brand. It is imperative your organisation is present on the same channels as your customers. With all these disruptions and innovations, customer expectations have changed greatly. Your service department has the power to shape the relationship your brand has with the customer from their first interaction. Customer loyalty is driven by positive experiences. Providing faster, smarter, more personalised service will keep your business ahead of customer’s expectations. We are living in a time where service expectations are constantly increasing, and to avoid disruption, your brand needs to keep up. Do not look to keep pace or stay ahead of only your competition, it’s now important that every industry provides parallel experiences. Personalise customer care. You need to know your customer and be able to personalise service, and not only solve problems but predict future needs. Provide smarter self-service. Nothing is more frustrating than a constant internet search for answers. Your brand needs to have answers available for your customers to solve problems on their own terms and timeline. Deliver support everywhere. 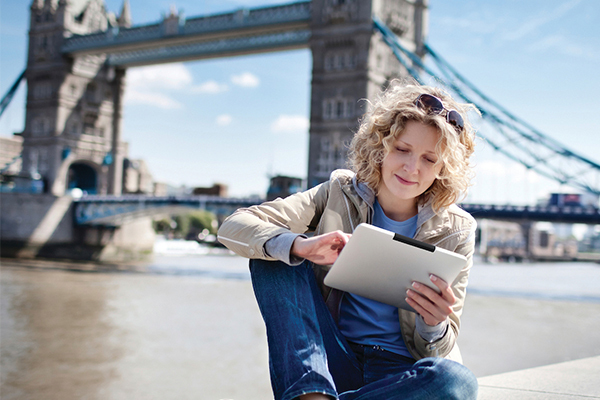 Do you have the ability to support customers wherever they are? Businesses today need to be able to provide service via phone, email, social media and apps or any other channel. We spoke to some leading customer experience experts from the UK and compiled this insightful and pratical Creating a Connected Customer Experience e-book. Dwnload your copy today to see real life examples of brands that are leading the way.